Dr. Kevin Ford, associate professor of physical therapy for the School of Health Sciences at High Point University, recently had two peer-reviewed publications accepted in the journal, “Gait & Posture,” a publication that includes up-to-date basic and clinical research on aspects of locomotion and balance. HIGH POINT, N.C., Dec. 14, 2012 – Dr. Alexis Wright, assistant professor of physical therapy in the School of Health Sciences at High Point University, was recently awarded first place in the competition for best platform presentation at the International Federation of Orthopaedics Manipulative Physical Therapy Conference in Quebec City. The award was given by the American Academy of Orthopaedic Manipulative Physical Therapy. 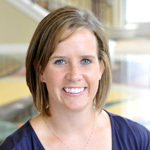 Dr. Alexis Wright, assistant professor of physical therapy at High Point University, was invited to speak at the FDA Minimum Clinically Important Difference (MCID) Conference in Silver Spring, Md. 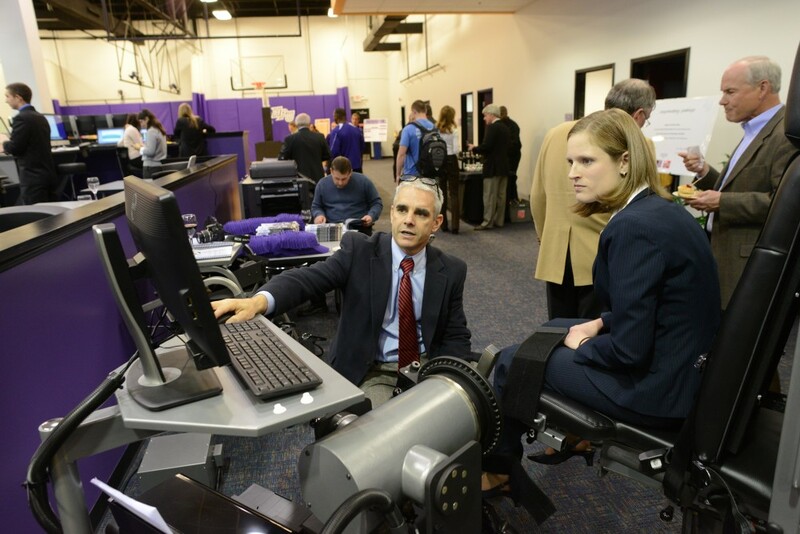 High Point University took a step forward in the development of its School of Health Sciences by opening the Human Biomechanics and Physiology Lab on Nov. 14. 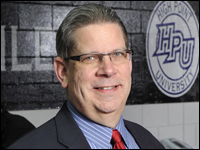 High Point University professors Dr. Eric Hegedus, founding chair of the department of physical therapy, and Dr. Alexis Wright, assistant professor of physical therapy, published an article in the British Journal of Sports Medicine (BJSM). Research conducted in the lab will benefit numerous people by preventing injuries and improving treatment. 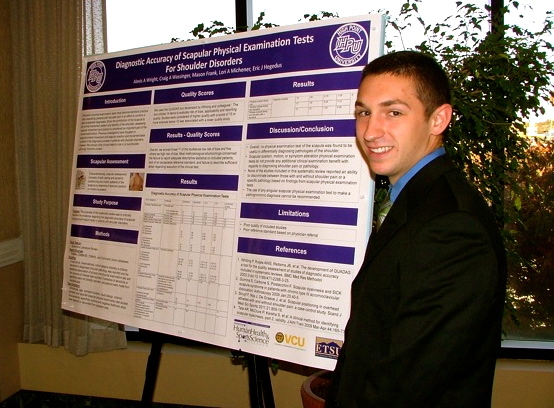 Mason Frank, junior athletic training major at High Point University, presented at the North Carolina Physical Therapy Association annual meeting on Oct. 13 in Greensboro. HPU President Nido Qubein asks a physical therapy professor about his hobby of writing Japanese poetry. 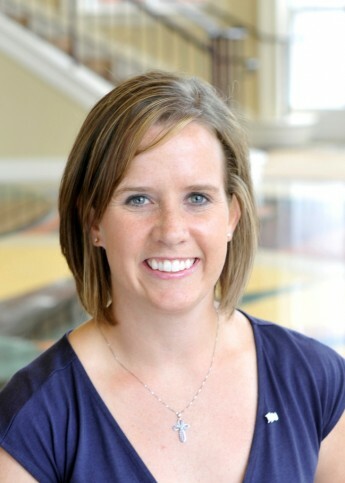 Dr. Alexis Wright, assistant professor of physical therapy for the School of Health Sciences at High Point University, has been selected as the recipient of the Cardon Research Grant for $6,000. 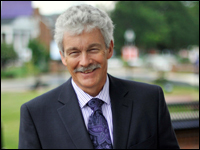 Dr. Mark Teaford, professor of physical therapy at High Point University, recently published three articles in the “American Journal of Physical Anthropology” regarding the diets and teeth of our ancient ancestors. 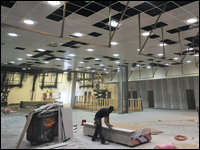 High Point University is providing an academic boost to the School of Health Sciences by creating advanced biomechanics and human physiology/performance laboratories, which will be temporarily housed in the space formerly occupied by Circuit City at Oak Hollow Mall. 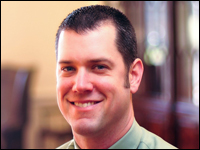 Dr. Jeffrey Taylor, assistant professor and director of clinical education for the Department of Physical Therapy, has received the designation as a Board-Certified Clinical Specialist in Sports Physical Therapy from the American Board of Physical Therapy Specialties. 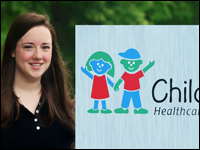 Christiana Brock, a rising senior majoring in exercise science at High Point University, is working out a summer of success as a pre-physical therapy intern at the Children’s Healthcare of Atlanta Pediatric Hospital. 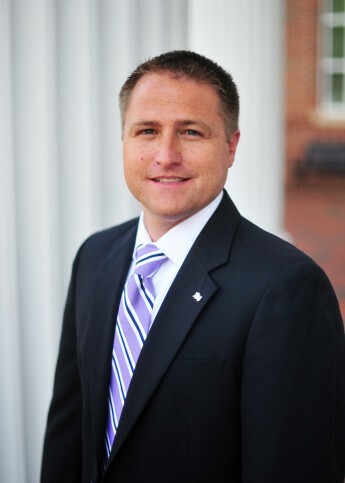 Dr. Daniel Erb, dean of the High Point University School of Health Sciences, has been appointed to the Advisory Committee for Biotechnology in the Piedmont Triad. 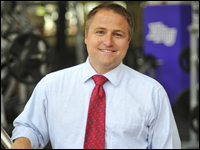 Dr. Kevin Ford, associate professor of physical therapy for the School of Health Sciences at High Point University, was recently awarded the “Nicolas Andry Award” by The Association of Bone and Joint Surgeons for a paper he co-authored about ACL injury prevention. 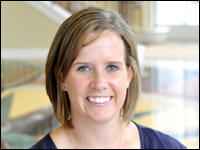 Dr. Alexis Wright, assistant professor of physical therapy at High Point University, was recently featured as the guest speaker for the Greensboro Optimists Club luncheon. High Point University and Cornerstone Health Care Foundation hope to help those involved in public and private school sports by sponsoring the Third Annual Free Sports Medicine Seminar. 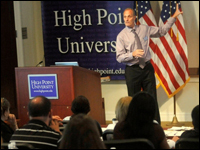 The all-day event will be held on July 24 at Phillips Hall on the HPU campus. Dr. Eric Hegedus has developed an application that may help predict sports injuries before they occur. 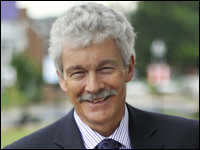 Dr. Mark Teaford, professor of physical therapy in the School of Health Sciences, recently attended an international workshop on “evolutionary dentistry” at the Evolutionary Synthesis Center in Durham, North Carolina. The Synthesis Center hosted professors and researchers from across the globe to discuss the evolution of human teeth and jaws and the implications they may have on dentistry and orthodontics.